As you may recall, the 2018 20X21 Eugene Walls event came to a close at the end of August. 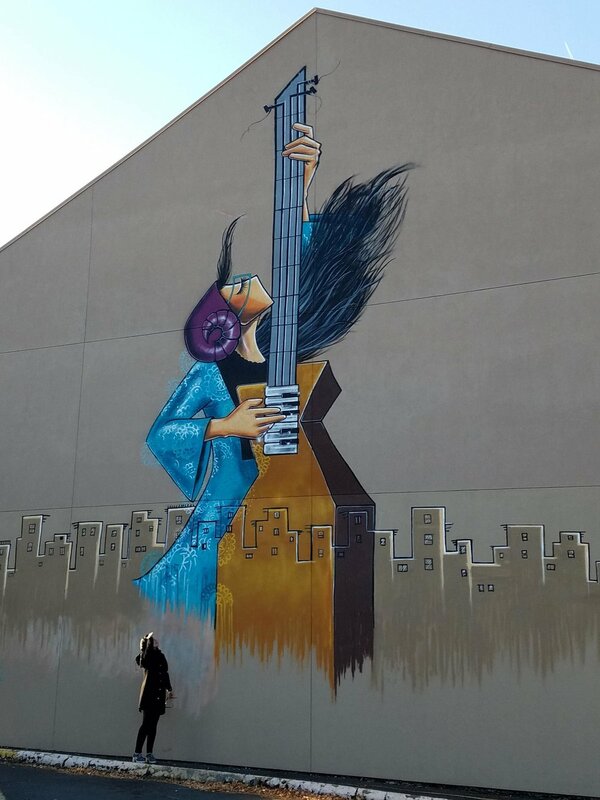 Shamsia Hassani, a muralist for the project, is widely known as Afghanistan’s first graffiti artist. 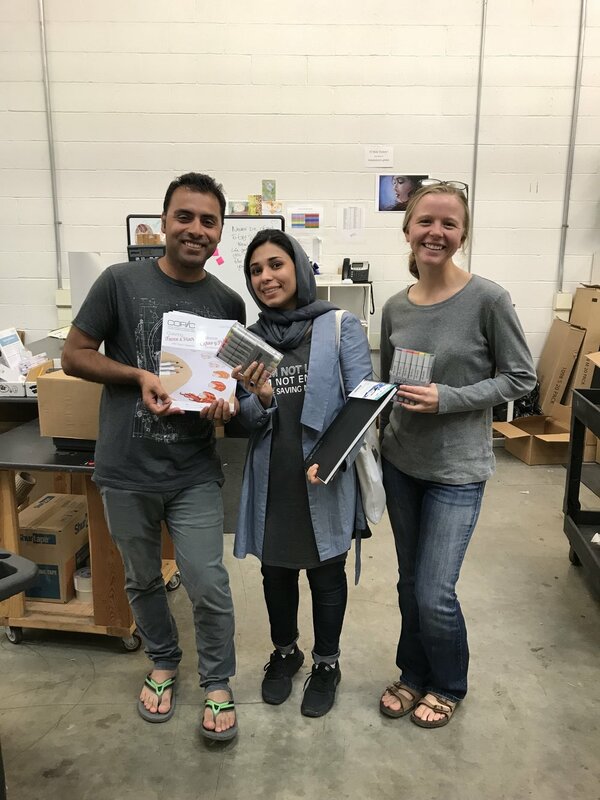 It was brought to our attention that Shamsia was planning to take most of the leftover supplies from the mural project back home to her students in Afghanistan. She teaches 16-22 year old girls who are all pursuing the arts at Kabul University. Following the completion of the girls’ school careers, Shamsia tries to help them establish gallery shows in their community. In accordance with its name, Imagination International is highly invested in the international art community and values the exposure of all people to art, as well as the enabling of others to discover and enhance their natural abilities. Thus, Shamsia and her husband, Shah, were invited to come “shopping” at iii for supplies to take back to her students. While shopping, she explained that the materials would go to the most dedicated students. Her and Shah left bearing excited smiles and enough supplies to fill her suitcase. Several female art students will now look forward to receiving sketchbooks, marker sets, multiliners and instructional books as a reward for their hard work.